Vendedor M & J Marine Inc. There's a reason that Yamahas 19 foot boats have long been the number one choice for boater looking for an easy to tow & easy to operate sport boat! The Newly designed 2019 creates a new standard in this size range with thoughtful layouts that allow for uninterrupted movement with in the boat along with a extra wide swim platform providing extra area to relax! PAYMENTS AS LOW AS $337 PER MO O.A.C.  This SX195 is sure to impress with a long list of great features! Some Include: Co-captain's station with beverage center, fold-down table, lockable storage and added USB charger. New deck and hull design maximizes space, comfort and versatility unlike any other 19-foot boat. Yamaha's award winning 4.3" touchscreen display with adjustable phone holder. 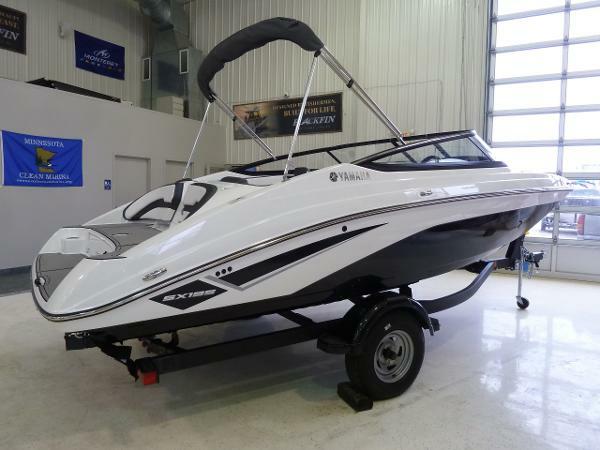 Store your gear in multiple storage compartments, and use the Yamaha exclusive two-tiered swim platform as a staging area for all your activities – from wakeboarding and tubing to swimming and entertaining. Yamaha Advanced Responsive Handling includes the award winning Articulating Keel, No Wake Mode™ and Thrust Directional Enhancer. This SX195 series features Yamaha's most powerful engine, the SVHO®, for more thrills on the water. 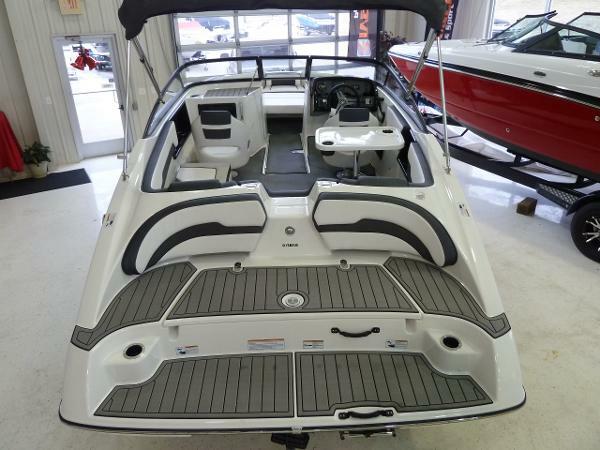 Bow Filler Cushions Bimini Top Marine Grade Snap In Woven Mat Flooring Removable Dinette Table AND SO MUCH MORE! 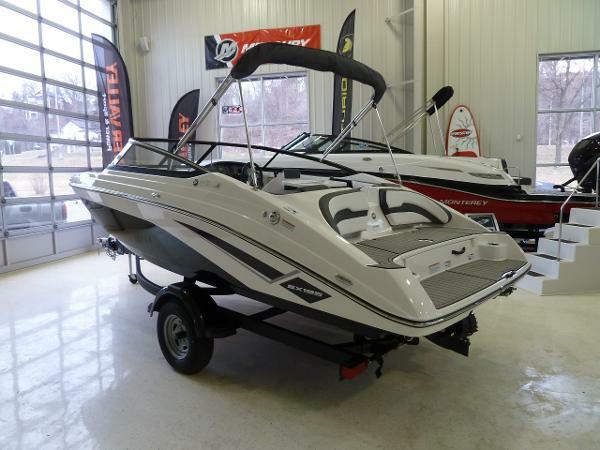 Take the time and look at the details and this SX195 should surly impress, dollar for dollar this is one feature rich 19 foot sport boat that is sure to make your time on the one enjoyable! Vendedor Twin City Marine, Inc.